Rheeze lies 2 km. south of Hardenberg. 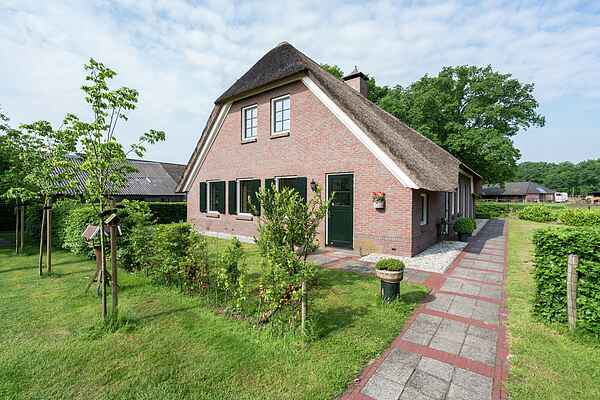 This very spacious farm house (380 m) is situated in a peaceful environment and has a view at meadows and forests. The farm house lies at the Pieterpath, therefore an ideal location for walkers. It lies next to the owner's house, whom also runs a small farming campsite. The farm houe is built in the beginning of 2006, completely new and furnished in a rural style. Garden with terrace and garden furniture.